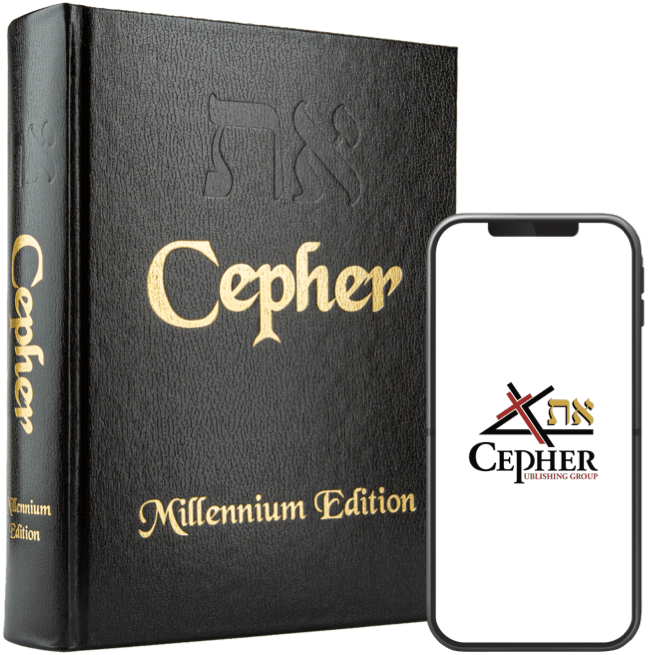 One book which is included in the Eth Cepher and found in no other collection of sacred scripture is the cepher Baruch Sheniy. What a remarkable book and one worthy of a complete analysis. However, let us engage in a cursory review somewhere in the middle of the cepher for just a moment to see what we can find. AND it shall come to pass after these things, when the time of the advent of HAMASHIACH is fulfilled, that he shall return in glory. 2 Then all who have fallen asleep in hope of him shall rise again. And it shall come to pass at that time that the treasuries will be opened in which is preserved the number of the souls of the righteous, and they shall come forth, and a multitude of souls shall be seen together in one assemblage of one thought, and the first shall rejoice and the last shall not be grieved. 3 For they know that the time has come of which it is said, that it is the consummation of the times. 4 But the souls of the wicked, when they behold all these things, shall then waste away the more. 5 For they shall know that their torment has come and their perdition has arrived. AND it came to pass after these things: that I went to the people and said unto them: 2 Assemble unto me all your elders and I will speak words unto them. And they all assembled in the valley of the Qidron. 3 And I answered and said unto them: Hear, O Yisra’el, and I will speak to you, And give ear, O seed of Ya`aqov, and I will instruct you. 4 Forget not Tsiyon, but hold in remembrance the anguish of Yerushalayim. 5 For lo! the days come when everything that is shall become the prey of corruption and be as though it had not been. BUT as for you, if ye prepare your hearts, so as to sow in them the fruits of the Torah, it shall protect you in that time in which EL ELOHIYM is to shake the whole creation. 2 Because after a little time the building of Tsiyon will be shaken in order that it may be built again. 3 But that building will not remain, but will again after a time be rooted out, and will remain desolate until the time. 4 And afterwards it must be renewed in glory, and perfected forevermore. 5 Therefore we should not be distressed so much over the evil which has now come as over that which is still to be. 6 For there will be a greater trial than these two tribulations when EL ELOHIYM will renew his creation. 7 And now do not draw near to me for a few days, nor seek me till I come to you. 8 And it came to pass when I had spoken to them all these words, that I, Baruch, went my way, and when the people saw me setting out, they lifted up their voice and lamented and said: 9 Whither do you depart from us, Baruch, and forsake us as a father who forsakes his orphan children, and departs from them? Behold, the days come, says YAHUAH, that I will make a Renewed Covenant with the את (eth)-house of Yisra’el, and with the את (eth)-house of Yahudah: 32 Not according to the covenant that I made with their fathers in the day that I took them by the hand to bring them out of the land of Mitsrayim; which my covenant they broke, although I was a man unto them, says YAHUAH: 33 But this shall be the covenant that I will make with את (eth)-the house of Yisra’el; After those days, says YAHUAH, I will put my Torah in their inward parts, and write it in their hearts; and will be their ELOHIYM, and they shall be my people.